Communication is an undeniable major aspect that affects how things get done at work. There are tasks that need no explanation but there are those that need to be refined. Ask to get more details about the task at hand and clarify those that seem vague. This assures you that you and your manager are on the same page. Author, blogger, entrepreneur and marketing superstar Seth Godin shares three agreements that can help you and your team or boss check if you have the same perspective for work goals: agreeing on the goals, on reality, and on what success looks like. 2. Come to meetings with actionable ideas. It’s not enough to have ideas. Make sure these are actionable and measurable. Show your teammates and bosses that you are aren’t just actively participating in your meetings and brainstorming sessions by throwing out ideas, but also by mapping out how you can go from ideation to execution. 3. Know what you are talking about. When you are trying to make a case at work, preparing well and having all the facts laid out will give you the edge when you are making a pitch, justifying a new acquisition, or trying a completely new process the team or even the company is unfamiliar with. You should know your project, pitch, or product thoroughly and be able to answer questions about it with ease. 4. Use the “Positive No”. If you haven’t heard or read about this yet, this concept and book, based on William Ury’s Harvard University course for managers and professionals, teaches you how to “say no clearly, respectfully, and effectively to anyone.” Use the information you have so that it will be easier to say no to a process at work that might not be working anymore, an unrealistic deadline, or additional work that you feel will hamper your current load. Not everyone is innately confident—maybe some of you have a naturally quiet demeanor. The danger here is that it can be misconstrued as ineffectiveness or you can be perceived as someone who can be easily swayed. “Sort of, kind of, maybe, might”—these are the words you should not use when explaining the status of a task or when requesting for something you need at work. Do you sometimes here yourself say, “We might need this…” or “It’s kind of…?” Catch yourself when you use a questioning or unsure tone and take note of your body language as well. Dr. Nikki Martinez in a Huffington Post article says that “body language [is] 97% of communication. 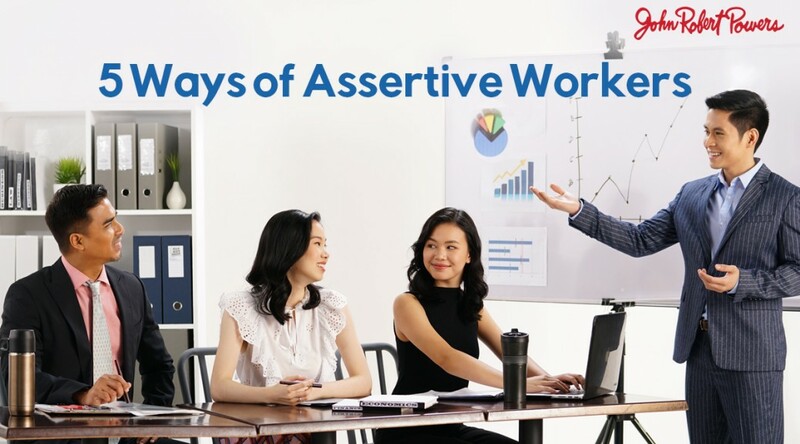 Your body language must be as assertive as your words.” Practice, practice, practice and work on taking your confidence up a notch.